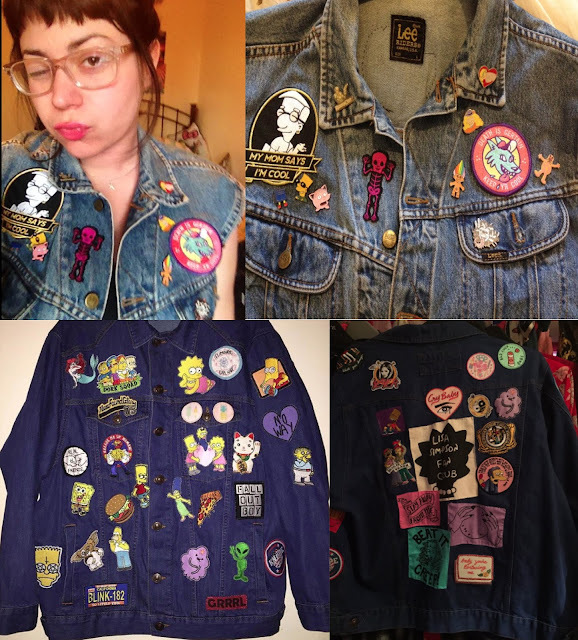 So basically if you aren't aware of the enamel pin and embroidered patch resurgence in the past year you must have been living under a really sad joyless rock. Remember those cool little brooches you seem to get with everything but I can't really put my finger on what? When you were a kid, maybe McDonalds, or things you would send off for on the back of cereal boxes, or that 25 metres fabric patch your mum sewed on your swimming towel, well they are here with your favourite pop culture references on and you are going to start seeing them everywhere. 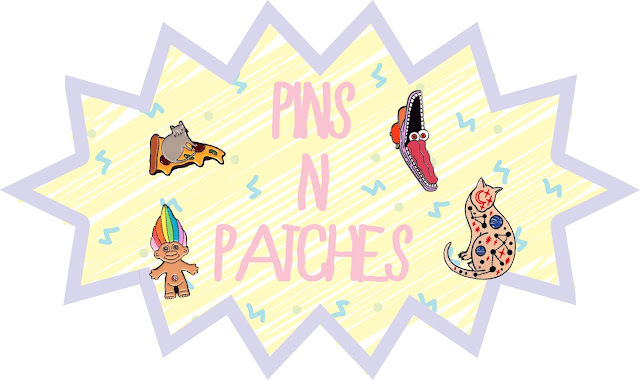 With quite a collection now, I wanted to share my favourite designers and pins and patches I have collected over the past year, and hopefully introduce you some people you haven't heard from before. I have had no chill what so ever in getting as many pins and patches as I possible can get, to the point that Toby from I like Cats had to send me a cleverly concealed envelope that was tabled 'VERY IMPORTANT DOCUMENTS IN HERE' to trick my husband due to the sheer amount I have bought from him, spoiler I don't think it worked. 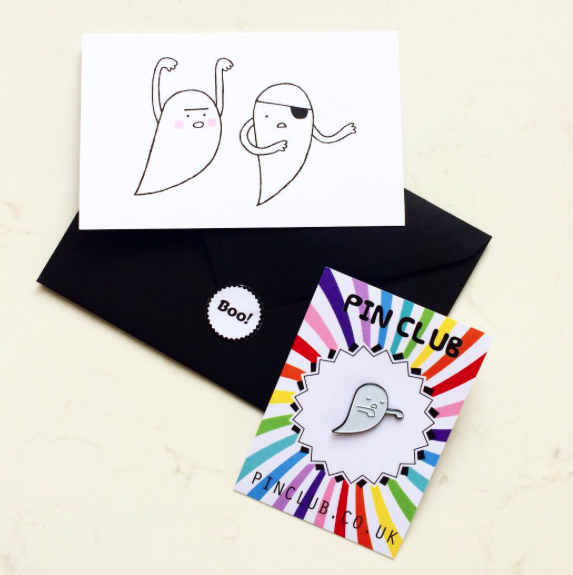 I belong to a very cool monthly subscription called Pin Club, and each month I receive a surprise enamel pin in the post from a different designer. Once the pin has been shipped there is an option to buy one off and see what you are getting, but I am a sucker for surprises! At £5 a month even if the pin isn't to my taste (it hasn't happened yet!) I can alway put it away for a birthday or Christmas present for someone else. Very recently Sophie from Crown and Glory started Bobby Pin Club, a slight variation on your typical enamel pin brooch, but by putting the design on a bobby pin/kirby grip. 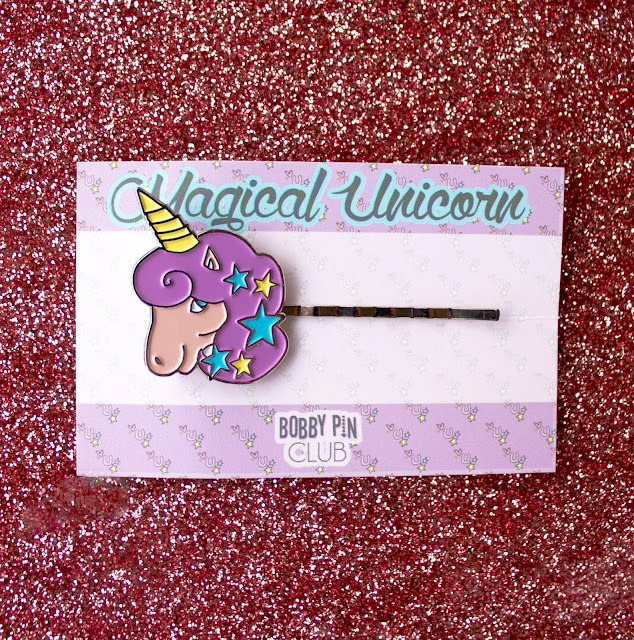 We have only had one subscription yet of this very cute unicorn, but I am very excited to see what this months brings as it is a collaboration with Sugar and Vice! You can subscribe for next months here. I am working on a couple of denim jackets myself, which I will be showing you over the next few weeks, but checking out the tags on instagram and my own feed, I came across a few people doing something a bit different. ASOS's very own Felicity and my number one crush and just all round incredibly stylish babe put her iron on patches on some dungarees and they look great. You can follow Felicity on Twitter and Instagram. 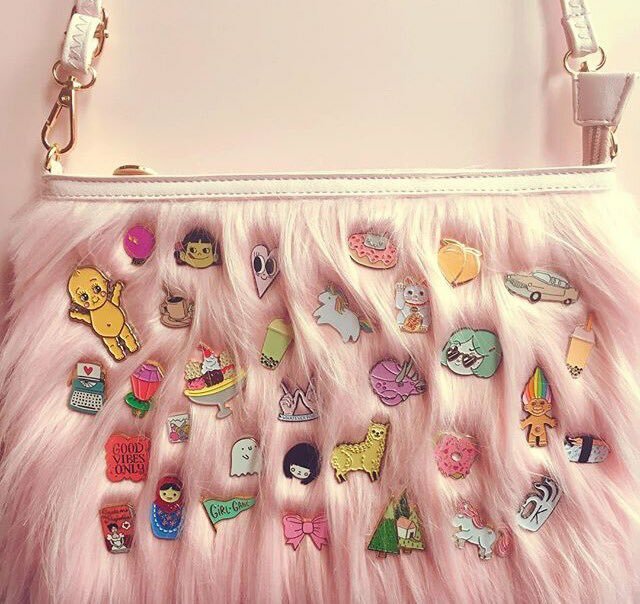 Similarly, blogger Fine and Dandy put all her enamel pins on this pink faux fur bag, and it made me physically swoon. BHC Team member Robyn is working on a denim vest masterpiece with Simpsons cross sections and BHC super fan Charmaine is also doing a Simpson homage. This post is leading up to the exciting but maybe quite obvious news that Black Heart Creatives are going to launch their own pins in the very near future. The only problem I am having is picking a design that is going to appeal to our loyal customers but also a wider audience. We think we have it down but if there is any you feel strongly about or would love to see from our website, or custom designs, please let us know we want your feedback!